Finally, Samsung release jelly bean official update for Galaxy ACE 2 I8160. But only for China, Portugal and Greece. #UPDATE:27.7.13 Now, it already supports most of the regions. But the only difference is just customization in app (As long as I discovered). I used Jelly Bean package for Portugal region even I am not from there. I hope Samsung will release update for more region. Please bear in mind that, by accessing the internal system and OS, you will lose the warranty. So, take your own risk. 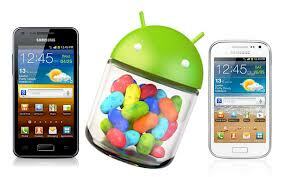 Download Odin and official firmware d XXMC8 Jellybean 4.1.2 firmware Package for Portugal (TMN) region. → For other regions, explore more on http://samsung-updates.com/device/?id=GT-I8160. To start installation, Go to Download mode in device by pressing Volume down key + center key simultaneously You may need to remove current ROM. Restart device by pressing Volume up + center key, then choose “wipe data/factory reset“. It remove all of your data. So, be sure you backup. After the firmware is updated successfully, the phone will be rooted. The rebooting time will take longer since the device install all the apps and rebooted again and again. Once you will see the home screen, disconnect the device from computer. Hey dude, I’m from Nepal and i got a Galaxy ace 2 from Hon Kong. Now i want to upgrade my firmware, GB (Android 2.3.6) to JB (Android 4.1.2). Please suggest me an official firmware and total procedure of it( its link too). Thanks…. Hope you will reply me soon…..